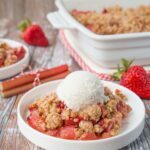 This fruit-filled dessert combines the perfect pairing of sweet strawberries and tangy rhubarb with a blanket of crunchy oat streusel on top. 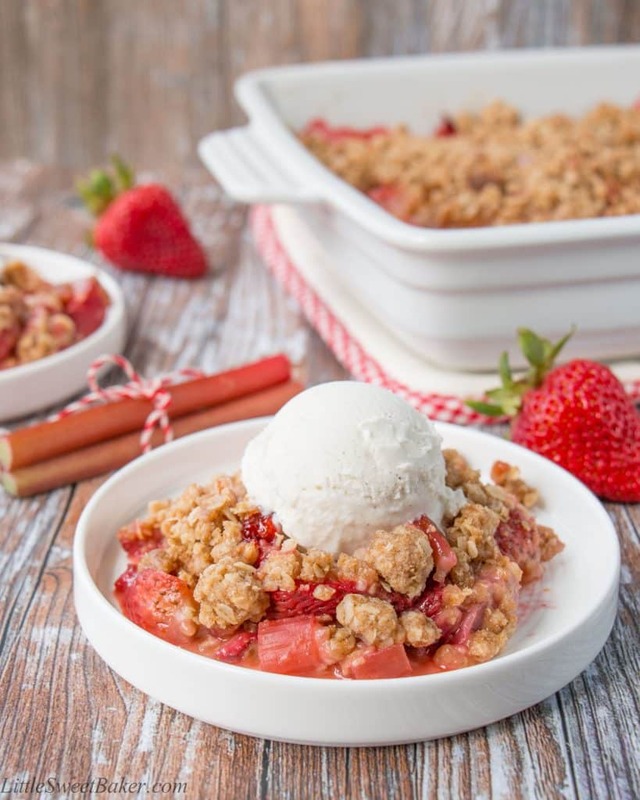 What I love about any crisp dessert is its simplicity. It’s got all the flavors of a pie, but you don’t have to fuss with making a pie crust. You just simply toss your ingredients together and dump it into your baking pan. You also don’t have to get fancy with its presentation because it has its own rustic charm. 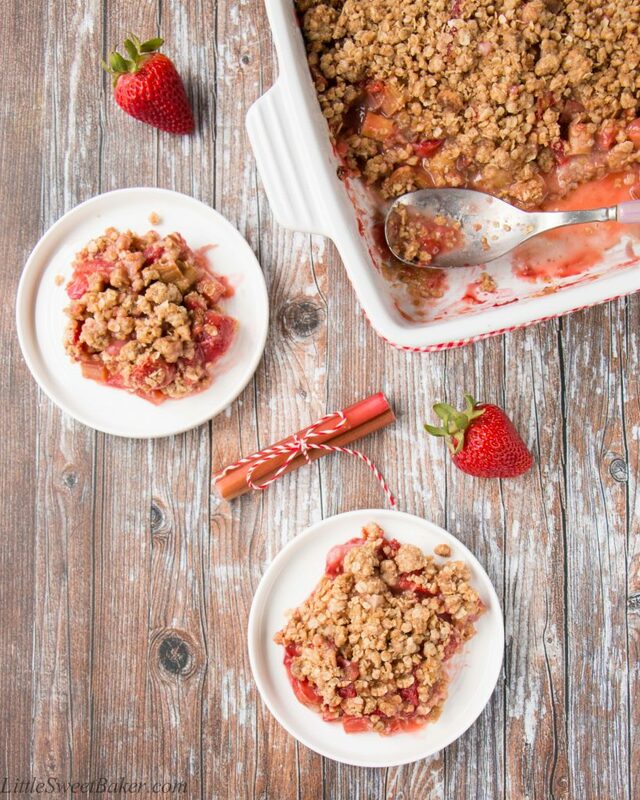 This recipe starts with 3 cups of fresh strawberries and 2 cups fresh rhubarb. 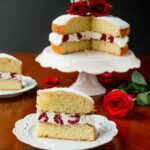 There is a dash of vanilla for flavor, sugar to balance the acidity of the fruits, and flour to thicken the natural juices released during baking. I added enough flour that you get a nice thick sauce that coats each morsel of the filling, so you get all the scrumptious flavor on your fork, not left on your plate. 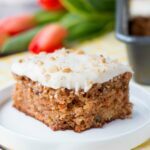 The topping is made with brown sugar for a warm caramel taste, cinnamon for spice, and butter for richness and to hold everything together. There is equal parts of flour to oats, so it’s not hard and crunchy like a granola bar, but there is a soft crumbly balance to the texture. 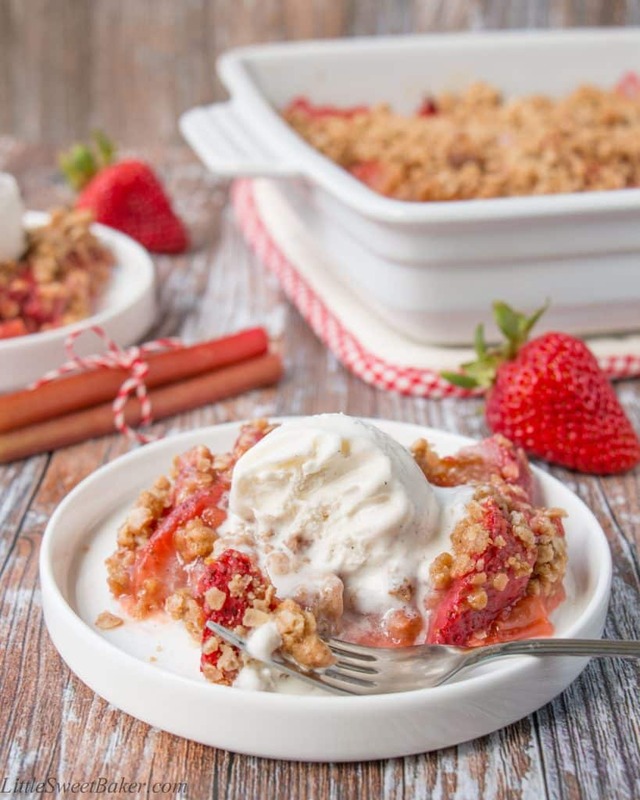 This strawberry rhubarb crisp can be served warm or cold. You can enjoy it plain or for extra creaminess, serve it with a dollop of whipped cream or scoop of vanilla ice cream. In a medium bowl, mix together the oats, flour, brown sugar and cinnamon. Stir in the melted butter and sprinkle the streusel evenly over the filling. 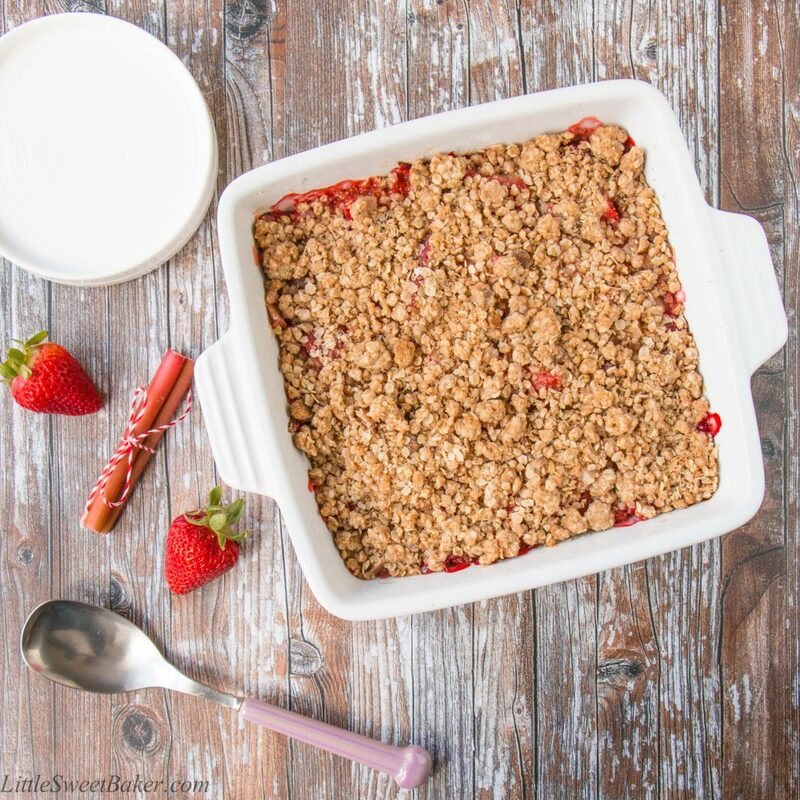 Bake for 30-35 minutes until the streusel is lightly browned and the filling is bubbling.